← It’s not nice to fool Mother Nature…. I have been busy making these cute little “phone pillows”. I found the tutorial on You Tube at “Sew Very Easy”. And they really are! 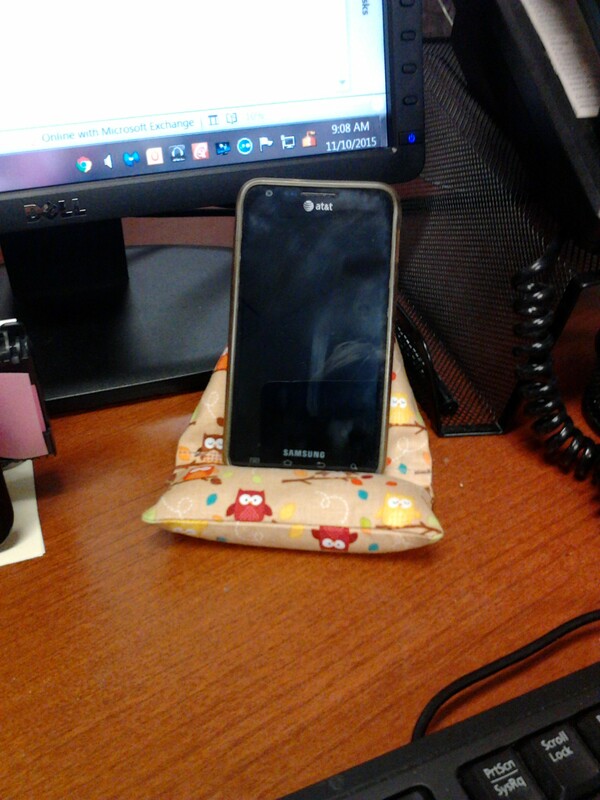 I made one for myself so I could have something to stand my cell phone up on instead of laying it flat on something or trying to prop it up if I was watching something. 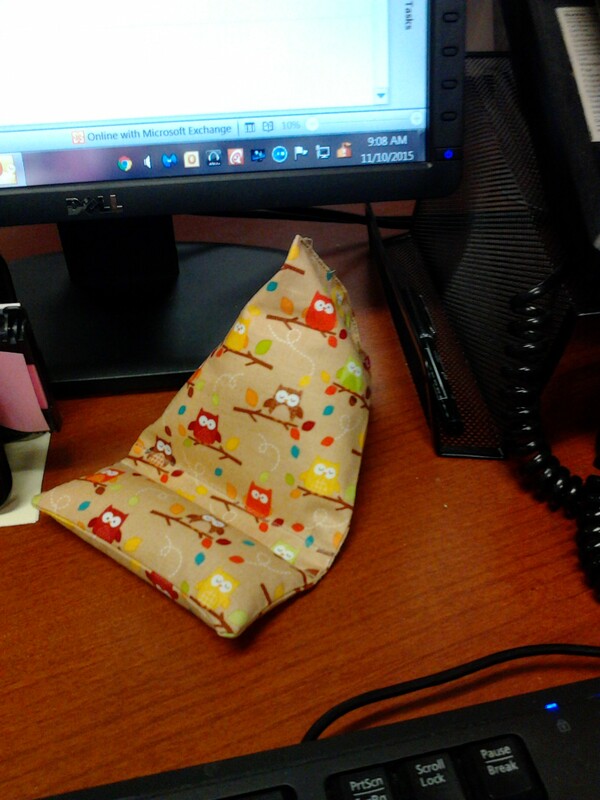 I liked it so much, that I made this little owl one for my desk at work. Then I decided that since they were so quick and easy, I’d make some of them for the craft fair. Always looking for something new and different. Now I want to adjust the pattern a bit so that I can make one to use with my tablet. Maybe I should make a few of them and keep them in the different parts of the house where I may need to prop up my tablet or even my Kindle. And something else I made this week that I think came out super was beef stew. I think it was the best one I ever made. 🙂 Do I sound too boastful? Well, hubby said it too and since we ate every last bit of it between Monday and then tonight as leftovers, I guess it really was good. Not sure whether it was adding the bit of merlot wine while browning the meat or putting cauliflower in this time but you can bet I will try to duplicate it the next time. Hope you are all having a good week. Have you created something cute, fun or delicious this week? I’d love to hear about it if you have. HI Ginny, what a great idea! And so cute too, I think you will do well if you make these for the craft fair…. Oop! something went wrong. I was trying to tell you how cute the phone pillow is. I found you on blogging101.